The 15 universities in East China's Jiangsu province, included in China's "Double First-class" plan aiming to nurture an elite group of world-leading Chinese higher education institutions, recently marked practical progress. The Ministry of Education (MOE) and the Jiangsu Provincial People's Government reached consensus on jointly developing 13 local universities, with Nanjing University and Southeast University given special support to develop into world-class centers of higher education, and the other 11 schools, including Soochow University, Hohai University, Jiangnan University, and China University of Mining and Technology, to develop world-class programs in specific disciplines. 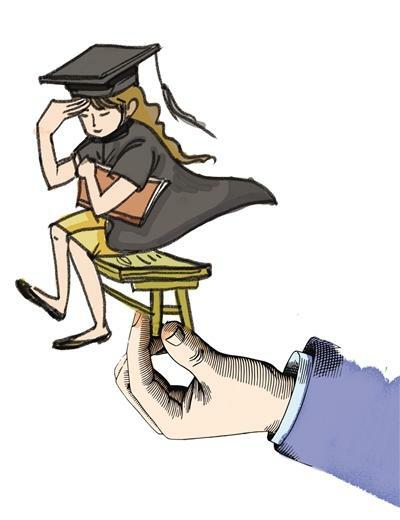 The MOE will act positively in funding and reforming postgraduate education, while the Jiangsu Provincial People's Government will offer overall support in finance, policy, and educational systems and mechanisms. Nanjing University of Aeronautics and Astronautics and Nanjing University of Science and Technology won joint construction from MOE, the Ministry of Industry and Information Technology, and the Jiangsu Provincial People's Government. The three sides will make concerted efforts to enhance the schools' educational capabilities and their respective strength in aviation and national defense. Launched in September 2017, "Double First-class" plan is designed to turn China into a world leader in university education by 2020. It aims to foster first-class universities and 95 first-class university programs by the end of the decade, hence the name "Double First-class". First-class signifies that the institution or program should be among the best in the world in its field.